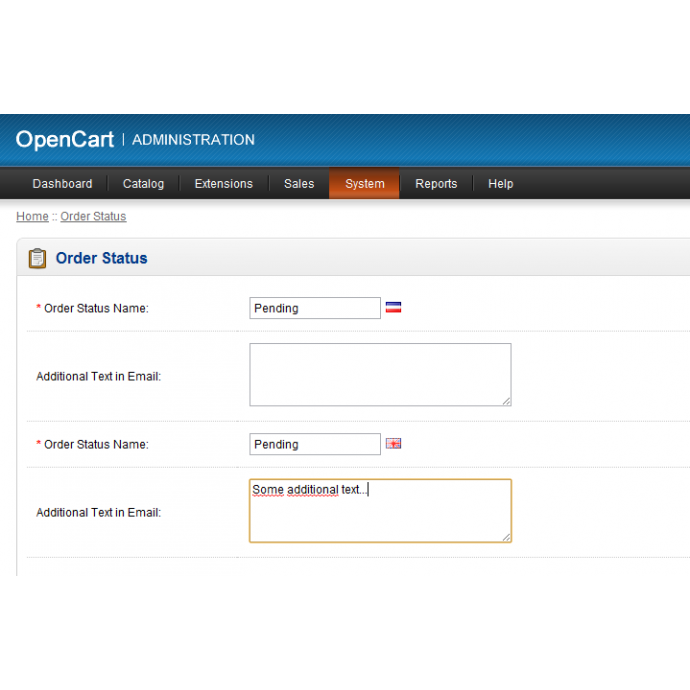 Extended Order Status allows you to add custom text message to e-mail notifying about update of order status. 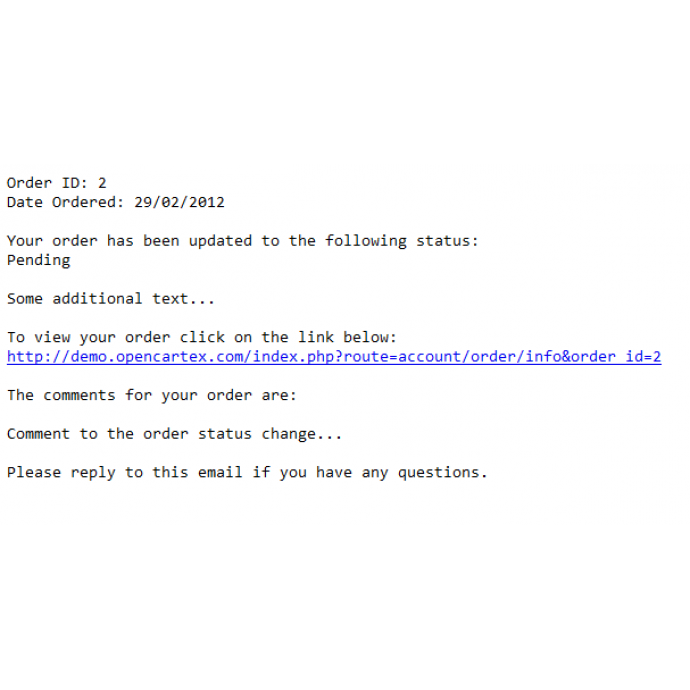 Every order status has its own custom text. Comes with multilanguage support. 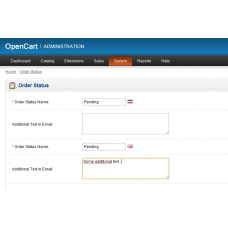 Choose directory corresponding to your OpenCart version.